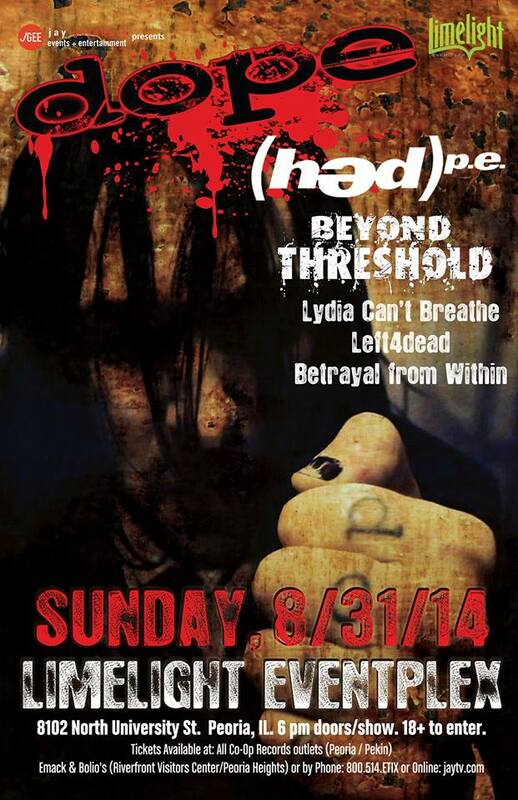 Sunday, August 31, 2014 Jay Goldberg Events & Entertainment presents: DOPE, Hed PE, & Beyond Threshold wsg: Lydia Can’t Breathe, Left4Dead & Betrayal From Within at Limelight Eventplex in Peoria, IL!!! 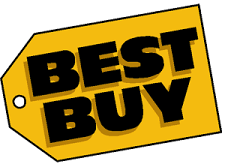 Jay Goldberg Events & Entertainment presents: + DOPE +, Hed PE, & Beyond Threshold wsg: Lydia Can’t Breathe, Left4Dead & Betrayal From Within at Limelight Eventplex in Peoria, IL!!! Please SHARE THIS EVENT for a chance to win FREE tickets!!! Sunday, June 29th!! 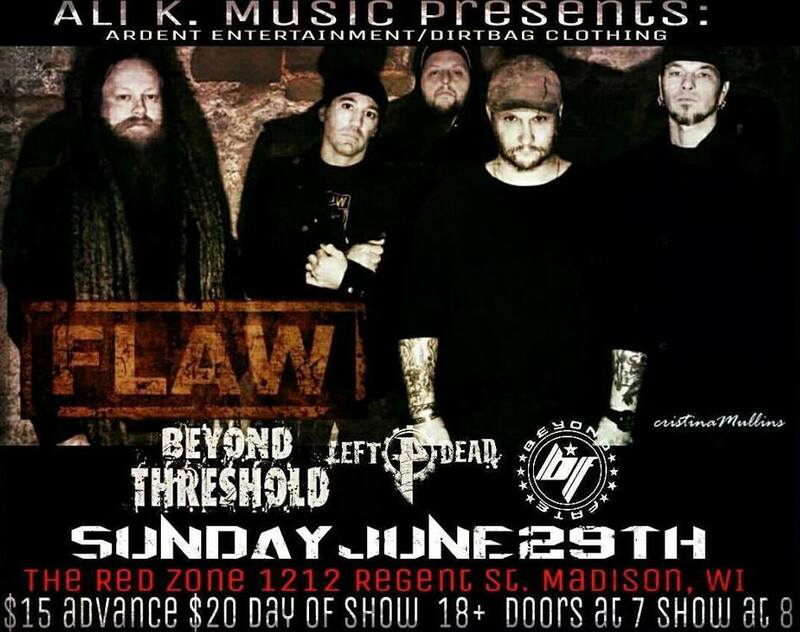 Flaw and Beyond Threshold with special guests Left4Dead, Beyond Fate come to The Red Zone Madison, Wisconsin!! Sunday, June 29th!! Flaw and Beyond Threshold wsg: Left4Dead, Beyond Fate come to The Red Zone Madison, Wisconsin! !